Sitting on 272 acres, this 5 bed/ 3.5 bath home located outside of Lewistown on the Forest Grove Road, provides some of the most spectacular views around. The spacious home has 2,272 sq ft on the main floor. 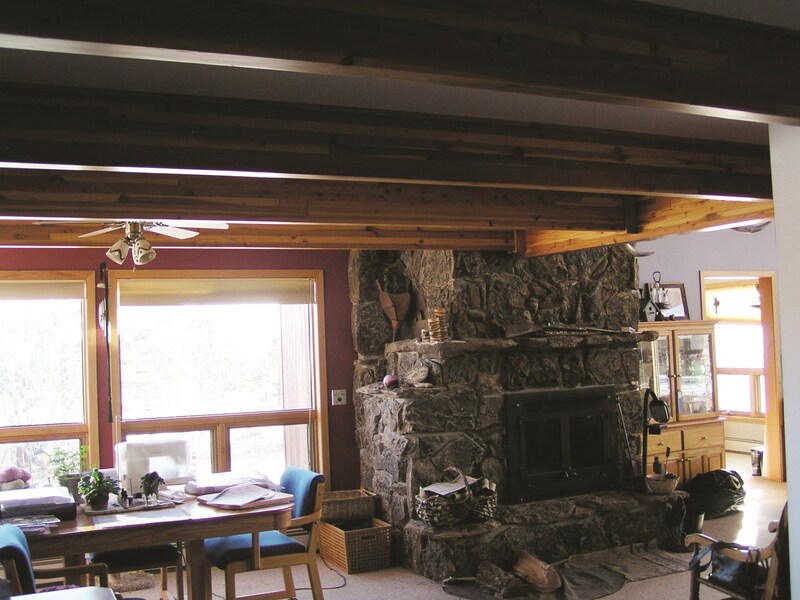 The living room has exceptional views and features a large native stone fireplace and vaulted ceilings. The second story loft is 448 sq ft with a large bedroom with sitting area and its own bath. The 1,196 sq ft basement is fully finished with three sleeping rooms and a bathroom. The home has propane fired hot water heat and a large two car attached garage. A 10’ x 12’ fully wired and plumbed garden shed, perfect for transplanting, sits on the edge of the large yard that is watered with an underground sprinkler system. Perfectly for livestock, approximately 225 acres are grazeable. A limited amount of timber on the property give additional cover. A well with two 1,500 gallon cisterns for reserve water storage, keep the property in running order. Additional outbuildings include a 32’ x 42’ barn with full length lean-to. The barn is fully wired and plumbed. 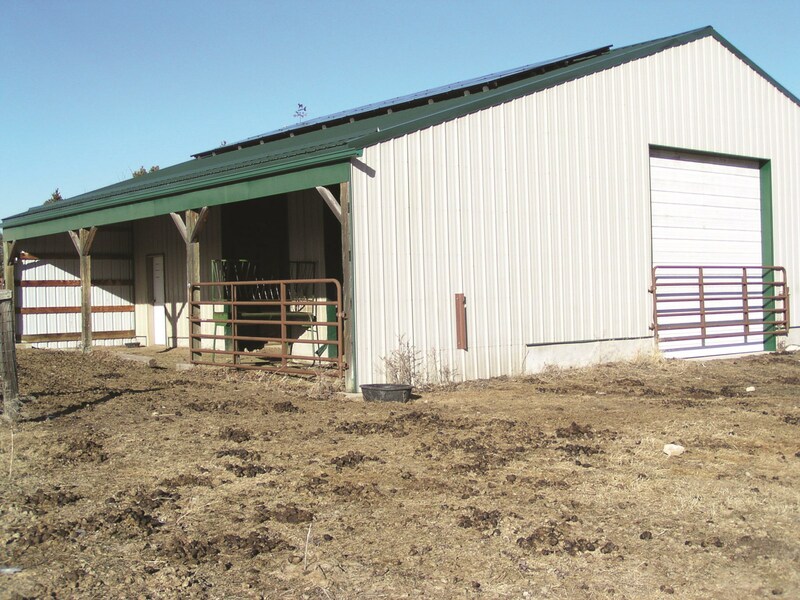 20 solar panels have been attached to the roof of the barn and are on a net metering system with Fergus Electric. Raised on a cattle ranch in SE Montana, Dave graduated from Montana State University with a degree in Agricultural Education. After a term of service in the US Army as a helicopter pilot and aircraft maintenance officer, he served as a County Extension Agent for Montana State University for 30 years. Of that 30 years, 22 were spent in central Montana, working with ranchers and farmers on issues related to wheat and barley production, beef cattle production, weed management, range and pasture management, soils and soil fertility management, farm and ranch management, and integrated resource management. Over the years, he has worked with hundreds of families associated with the 4-H/youth development program. He has a vast and in-depth knowledge of agricultural production and marketing in central Montana, an area that relies heavily on agriculture as the base of the economy. He is called on to consult on agricultural production and management issues, and to mediate lease agreements. After retiring from MSU Extension in 2013, Dave joined Shobe Auction and Realty in Lewistown, MT, so he could continue to serve ranchers and farmers. He is skilled at analyzing production capabilities and income generating opportunities on central Montana farms and ranches. He has lived in central Montana since 1983 and is active in many aspects of the community including the hospital board, Leadership Central Montana and Kiwanis. He and his wife, Cathy, have been married for 44 years. The have two grown children and two grandchildren. His hobbies include hunting, fishing, gardening, and visiting new places around the country.